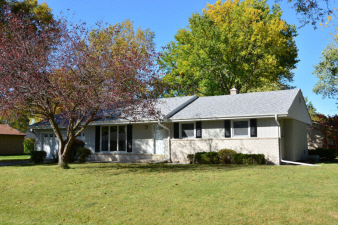 Stunning updated three bedroom Brown Deer Ranch with two car attached garage and deck. Large living room. Home has new windows. Formal dining room has built-in. Newer appliances in kitchen. Washer and dryer included. Sliding door access to deck and backyard. Freshly painted. New roof.